This article is about one really cool math idea for an online business. Many think that mathematics is a boring science. Solving equations, triangles and other kinds of math problems could be not the greatest thing to do for them, but others do business with this. And they do it really successfully. This is what Coolmath.com, Inc. has been doing for the last several years. And they have been enjoying a constantly increasing popularity for that time. 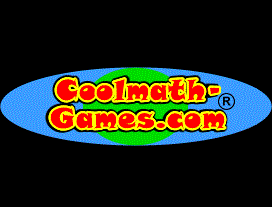 Coolmath.com, Inc. is an online company managing some of the most popular sites about math games on the Internet. Their sites receive more than 20 million monthly visitors from all over the world (April 2012) and this number has been constantly increasing, since the foundation of the company in 1997. They are not only providing cool math games to their users but also one of the greatest educational resources online. If you think, that math is boring, you need to visit some of the 13 sites, the company has built. Each of them is focused on a math field or a specific target group. It doesn’t matter if you are young or old, a student or a teacher, a child or a parent… If you like calculations and solving problems, there is a site for you. You can study mathematics and have fun at the same time, which will help you a lot in this process. Games have been one of the most effective ways for education because your attention is caught and you enjoy them. This is what Coolmath.com try to take advantage of. Their sites are one of my favorites out there, not only because I am a fan of mathematics, but also because I really enjoy playing their games with my older son. He has learned a lot entertaining and I hope this is better for his further development than shooting zombies or fighting with aliens with some other games. Here is a list of some of the most popular sites of Coolmath.com, Inc. Just have in mind, that these guys have launched some new sites recently, so the list may not contain all of them. For a full list, please visit their site. Coolmath.com, Inc. is a big online media and their popularity is growing. This is good not only for them but for their users too because all of their sites are completely free. Their advertisers pay the price and they are more than happy to do this, because of the wide audience they reach through the cool game portals.